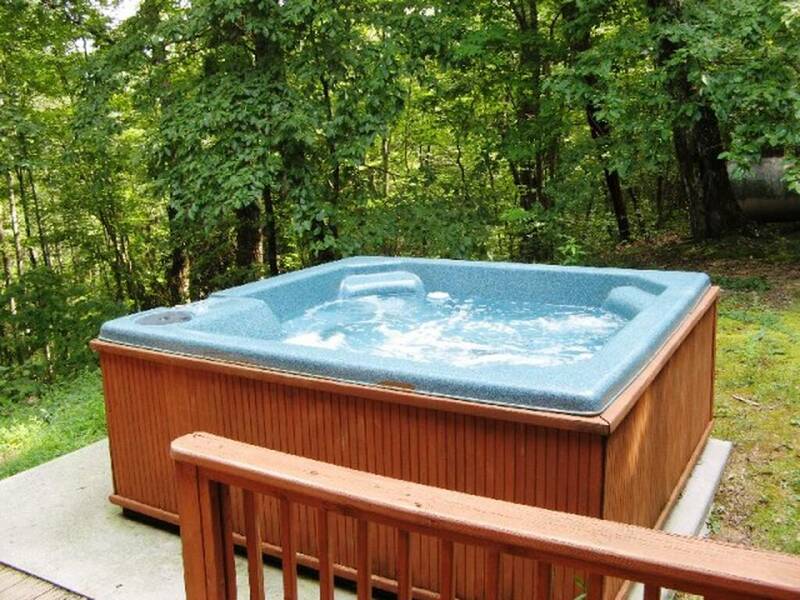 Dancing Bear Lodge is a fabulous, newly renovated, three-bedroom log cabin featuring wood interior and an open floor plan. 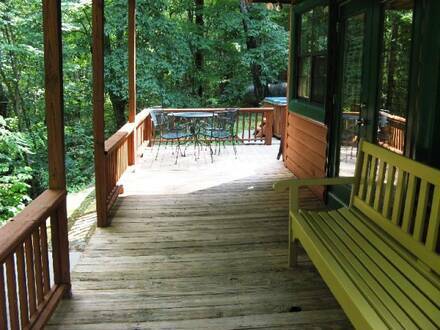 As you enter the cabin you will find a spacious, fully equipped Kitchen and Dinning area. The Living Room has a floor to ceiling stacked stone fireplace complete with a 46" HiDef flat screen television and Blueray Player. Upstairs you will find the Master Bedroom with a private bath, balcony and an additional 46" HiDef flat screen television for your viewing pleasure. 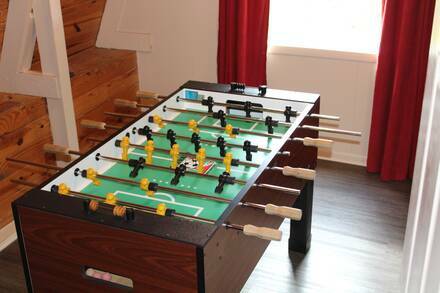 Dancing Bear Lodge has a game room with a Foosball, Dart game and a Playstation2, complete with games galore available at the office. 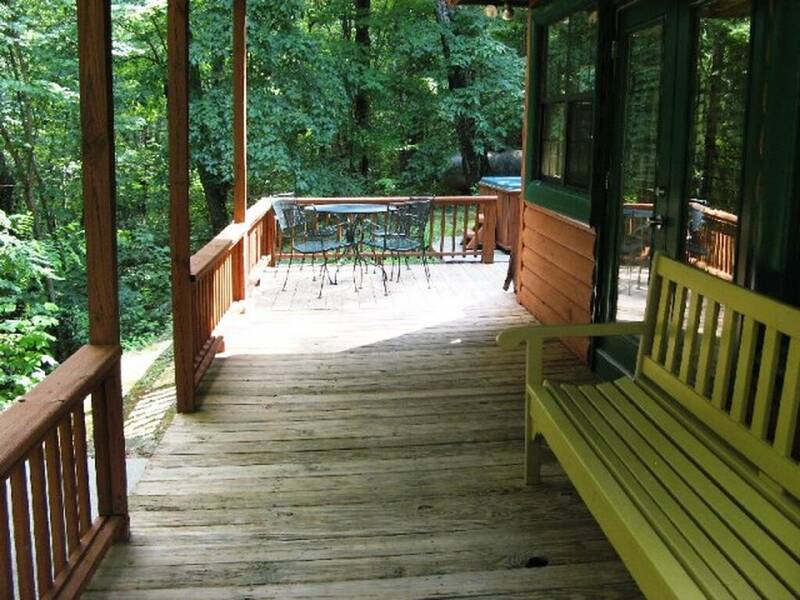 On the covered deck you will enjoy a porch swing and outdoor hot tub. This Chalet style cabin is situated at the end of a cul-de-sac which sets this cabin apart from the others nearby, it is conveniently located just minutes from the main parkway, Dollywood, Dolly's Splash Country, Dolly Parton's Stampede, Wonder Works, The Titanic and all of the finest restaurants, theaters and shopping in Pigeon Forge. 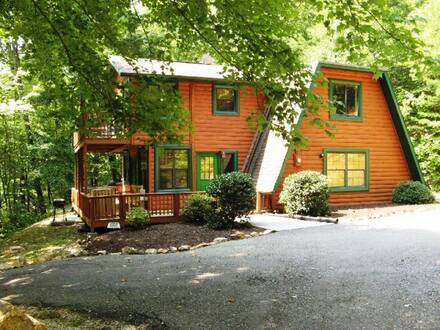 It is also only a short drive to Cades Cove, The Great Smoky Mountain National Park, Ripley's Aquarium of the Smokies and all of the attractions in Gatlinburg.